Austin is home to more than 80 unique street murals and our selfie tour is the perfect way to experience and photograph them. Our luxury vehicles will transport you the murals and our guides will help you capture the perfect the photos with your camera - if you need it. While driving to each mural you will learn about everything you need to know about Austin from what makes it awesome to weird. When your tour is over you will have enough Instagram content to last you for years! The tour is approximately three hours long, allowing you time to capture photos at each of the stops and a few in between. The current roster of mural stops includes My Butter Half, 6th Street Mural, Greetings From Austin and Hi How Are You. 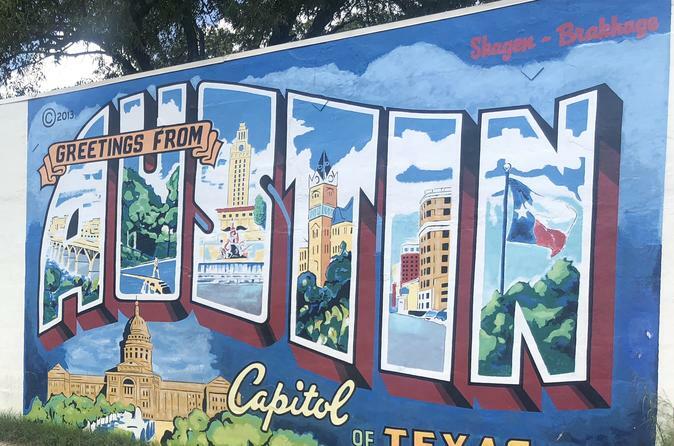 The overall route includes visiting the following areas and points of interest in Austin, in addition to experiencing more than 30 of Austin's best murals. Route is subject to change. All tours include a guide to enhance your experience from helping with your selfies or sharing this week's line-up at our hottest music venues. Air-conditioning and water will keep you cool. Selfie sticks will be available for you to use.